Pro Kabaddi League 2018 dates has been announced. Mashal Sports Pvt. Ltd announced Pro Kabaddi League 2018 dates for season 6 and 7. Pro Kabaddi League 2018 is going to be a largest sport or league of the year. Mashal Sports Pvt. Ltd announced Pro Kabaddi 2018 Dates for season 6 and season 7 . Also, league promises that Pro Kabaddi 2018 will be biggest league of the year. Duration of Pro Kabaddi 2018 will be 13 weeks. Duration of season 6 and 7 will be same as 13-weeks format. In Season V, the league scaled unprecedented heights having expanded from 8 teams to 12 teams and conducting 138 matches over a duration of 13 weeks. 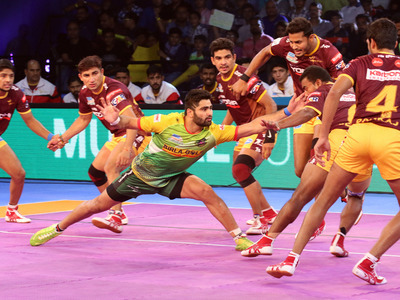 Withstanding intense competition, Patna Pirates led by Pardeep Narwal beat Gujarat Fortunegiants to clinch the championship title for the third consecutive time. Season V touched new highs in terms of viewership records. It was viewed by a staggering 313 million viewers with a watch time of 100 billion minutes, with the finals becoming the most viewed non-cricket sporting event on Indian television. 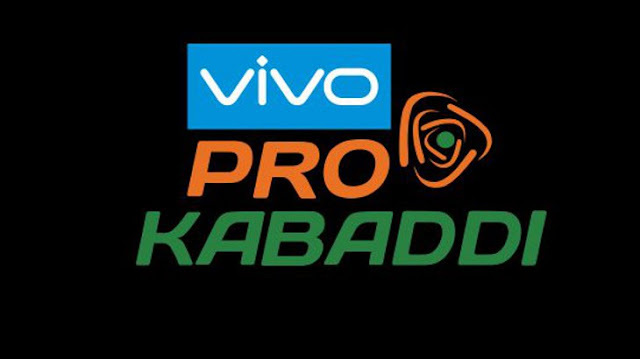 In its fifth and most successful season till date, VIVO Pro Kabaddi league became the biggest domestic sport league and Season VI promises to be even more action-packed. Fans can catch all the action from VIVO Pro Kabaddi Season VI, on the Star Sports Network and hotstar. ProKabaddiLeague2018.com is a platform where Pro Kabaddi League 2018 information and updates will be shared. Copyright @ prokabaddileague2018.com. Picture Window theme. Powered by Blogger.